We all need a little fiber in February to keep us warm, engaged, and contented. Fortunately, Lynden is gathering up all of its fibers offerings--or at least a good handful of them--and weaving them into a February Fiber Fest. We'll cover surface design and fabrication, the sculptural and the functional, the beginner-friendly and the challenging (sometimes all in the same workshop). While most workshops are for adults, many will be of interest to teens. A few require some level of skill, but most are open to interested beginners. Those with younger children are welcome to drop into our family workshop to make a cardboard loom and braid friendship bracelets. 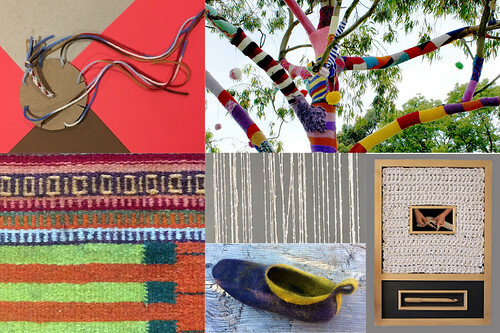 All month long, we will be inviting workshop participants to take the work they make out onto the grounds for a photograph to create a cumulative Fiber Fest photo journal. Whether you take one workshop or several, sign up to acquire a new skill or to make yourself a pair of slippers, February Fiber Fest is an excellent opportunity to come out of hibernation and enjoy all that Lynden has to offer in winter.